“Hallelujaaaah you have won the victorrrrrryyyyy…” Yes! How can you go wrong with that?! This “anthem” is a chant of direct and pure worship filled with praise. The purity and simplicity here is enough to make you shout!!! Full Gospel fellowship who notably delivers sounds from artists including Tasha Cobbs and William Murphy has continued to be a blessing in the worship arena. 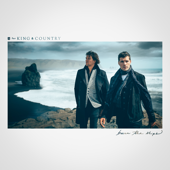 “You hold my head up, you remind me who I am…” If the musical composition here doesn’t get your senses moving immediately, then the lyrics definitely give an amen. The tempo is more on the scale of a dance club banger, but the message is still the same: praise and adoration. Instant replay is naturally commanded from this song. “I need you to live, I need you to breathe…” This song is Everything!! I know we say that way too much in this generation, but the truth in these lyrics simply state what’s real… in the most phenomenal, glorious way: through song. We can’t do anything without God, we actually need him to breathe. There is so much beauty and devotion reflected in this song it’s almost transcendent. It’s one of those songs that you can tell was born in worship. “We were made to thrive…” Isn’t that some nice repetition for you?! The chorus is genius, and the verses are even more power-packed. Casting Crowns is one group that has true soul, I don’t think anyone’s denying that anytime soon. For anyone who is feeling beat down, worn out, you name it, this truth from God is a real pick-me up. We weren’t made to be beaten, broken, or just merely survive in this life we were made to thrive. It’s time to actually get happy about it. Great song!! “Jesus, Jesus that’s what we call you…” Yes, this is a classic. 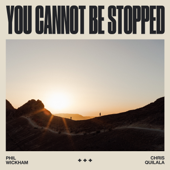 For anyone wading through the wealth of information in the world and online, struggling in what to believe and support, or doesn’t know too much about the gospel, this song delivers a defining narrative like few others. We call God by many names, He can be anything and everything to us. Fred Hammond delivers a powerful word along with the beautiful voices singing with him. It’s so wonderful to feel “God with us”, and know who He is. Amen! “You plead my cause, you right my wrongs…” If you have not heard this song, Please go listen to it right now, don’t even wait. I’m only halfway kidding…it’s pretty serious. 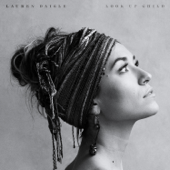 Lauren Daigle’s full album “How Can It Be” is filled with devotion. There are so many other songs recommendable here but since we’re keeping the list at 10 the title track of the album does more than suffice. The great part is it’s one of those albums you can listen to the whole way through without skipping a track. Lauren Daigle’s voice is beautiful, but the sincerity and clarity in worship along with it makes it all the more effective. “You can have all of me, I’m yours…” Casey J is full of worship. She blew up the gospel scene with “Fill Me Up”, but her latest track blasting on LookUp Radio and around the world is equally awesome! The song plays out like a big worship session, It makes me want to go in, in sincerity and in truth. It’s true sincere worship. “All things are working for my good, He’s intentional, never failing…” Yasssss!!! This song immediately presents a sense of urgency and excitement, most importantly the good news of what it means to be on the side of God. Taken directly from scripture, it leaves listeners like me even more in love with the gospel. Travis Greene has soared to the top of the gospel charts with his new album “The Hill”. It’s been a pleasure being apart of the ride. 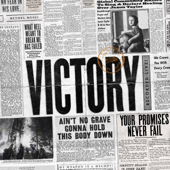 “Eyes haven’t seen ears haven’t heard, all you have planned for me…” There are certain songs that just hit you on impact, directly in the heart, they tell the truth of what God says, they speak of what the body of Christ needs to hear at the moment. Worth fighting for is one those songs. It’s timely and refreshing. It’s strong, glorious, and humbling all at the same time. This song is a masterpiece on a level of it’s own and so appropriate for this generation right now, on down to the next. “You placed the stars in the sky and you know them by name…” Yes, this classic can count as two on the list because Chris Tomlin and Kierra Sheard both sing it amazingly well, among other artists. God is amazing and no matter who sings it, it won’t cease from being true. The sentiments called out in Indescribable reflect worship to God for real. When we acknowledge how truly great God is, we see how great He has created us to be, from there we can worship in truth with this knowledge. God is the Lord of lords and the King of kings. He is the Alpha and Omega who nothing can come before or after. All these songs have got it correct. We can give God all the glory and the honor we can dish out, but His power will always be indescribable. We can’t even fathom how amazing He really is, but until then we will sing and we will worship with the glimpses of His glory that we’re blessed to see and experience. God provides the ultimate playlist of our lives. What are a few of your favorite worship songs? Are any of them listed here or playing on LookUp Radio? Let us know online @lookupradio and get connected by downloading the free LookUpRadio mobile app using the iPhone app store or Google Play. April D. Byrd is the creator of breathoflifedaily.com and the founder of BOLD-Impact Network.